Kenneth Joseph Bihl - 1st Priority Mortgage, Inc.
Ken has years of experience in teaching, real estate sales, and commercial leasing with 21 years in mortgage banking/residential mortgage lending. He feels the key to our success is educating and guiding our clients through the mortgage process, understanding a client’s needs and concerns, and then helping them put the right mortgage in place for a successful closed sale. He believes his experience in both real estate sales and leasing offers his clients an advantage in understanding the entire process of purchasing a home. 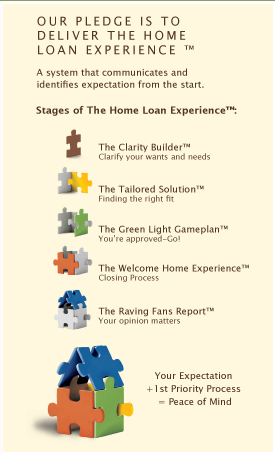 “It is a process involving many parts and many people” he often says when talking with clients and the key Ken feels is not only understanding and explaining that process to his clients but also offering the buyer/borrower the right mortgage option that fits them best. “I believe we’re here to help you buy your home and that help or assistance and experience is what I can offer you”. Ken was born and raised in western NY and he and wife life in Boston, NY. He has been or is involved in the Boston Youth Soccer League, WNY Alzheimer’s Association, Eden Jr/Sr High School Shared Decision Making Team, BNI, and the Great Harvest Networking Group.